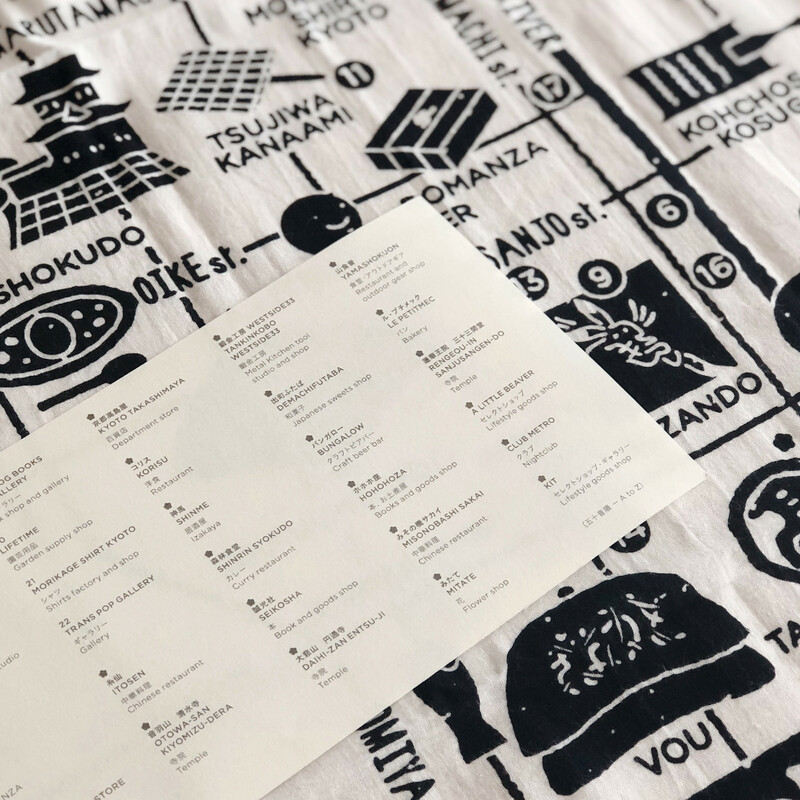 Map Tenugui towel is back in stock now. There are stores that provide their items with MIMIYA and ones that we recommend on the map. You can check their names on the Obi belt that wraps Tenugui. Walk around autumn Kyoto with map Tenugui. You can purchase it at MIMIYA and online.